It's here again! 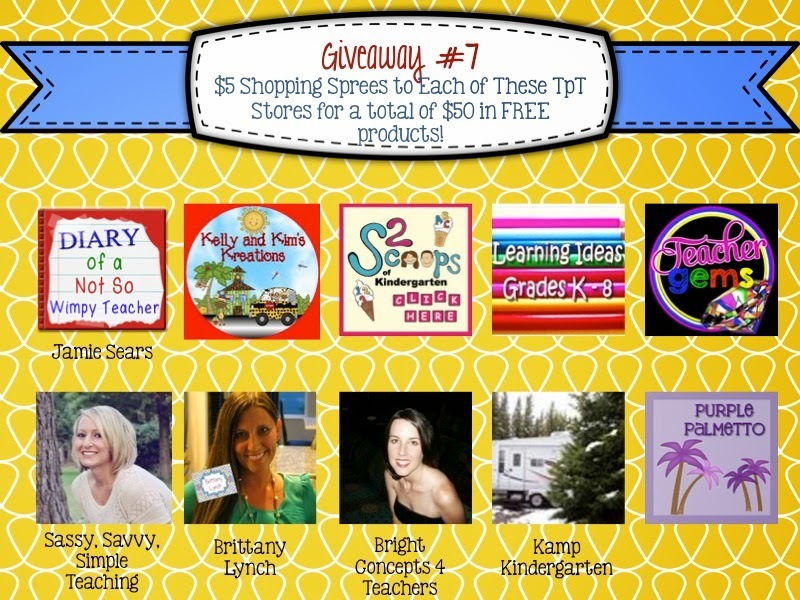 The Teachers Pay Teachers HUGE Back to School SALE will be held this year on August 4th and 5th. 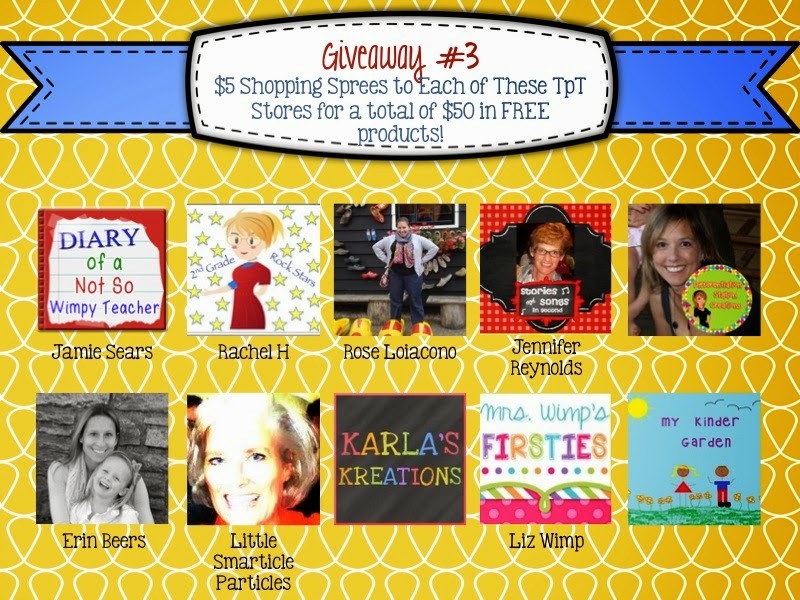 I'm excited because I buy most of my clip art to make my products from other TpT sellers. 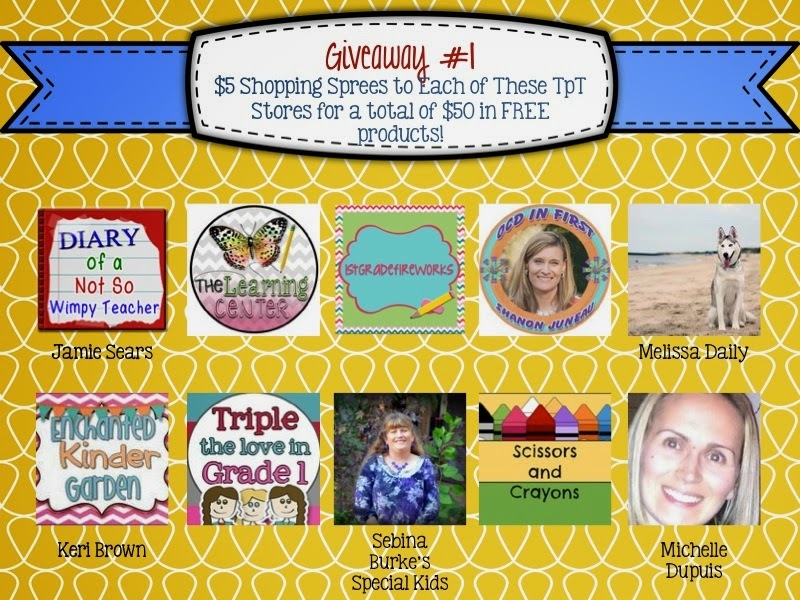 Whether you need clip art or finished products to use with your kids, this Back to School SALE is a great time to pick up some great resources! It will make going back to school much easier! 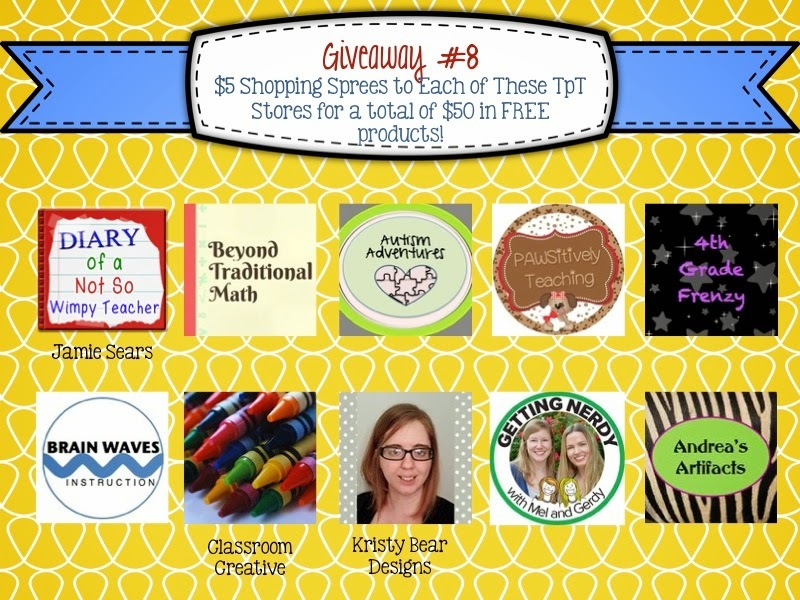 I will be putting ALL my products on a 20% discount plus when you use the CODE: BTS14 you will receive an extra discount from TpT making the total a 28% discount. If you already have an account you can put items in your shopping CART and then come back on August 4th or 5th to buy your products. 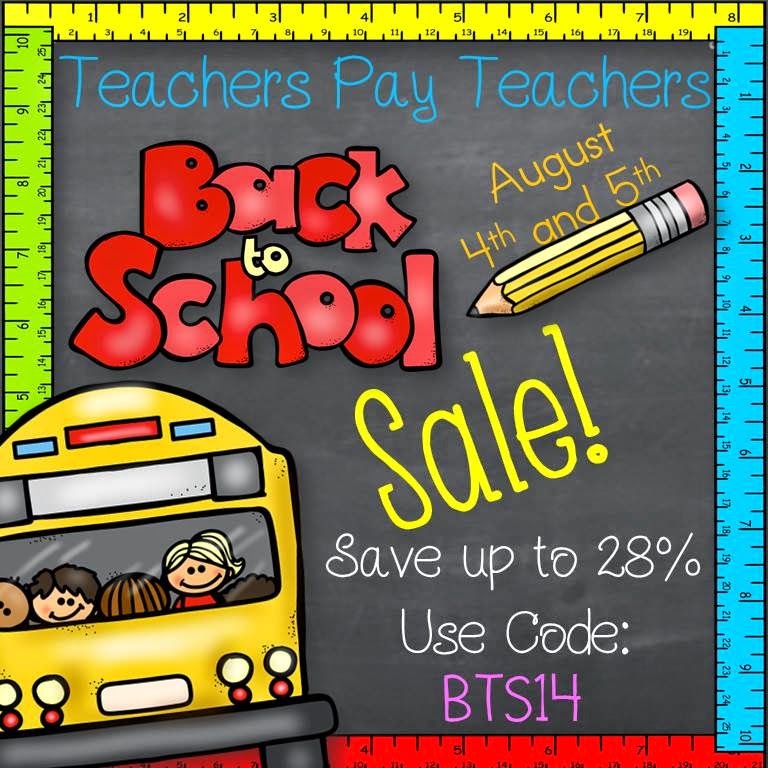 Just don't forget to use the CODE: BTS14 at check out! If you don't have an account you can open an account today. It's free to open a buyer's account and only takes a couple of minutes. If you are thinking of opening a seller's account you can do that also. The basic seller's account is free and the premium seller's account has a yearly fee. Both types of accounts are explained at the TpT site. If you have any questions just email me and I'd be glad to answer your questions and help you get started. 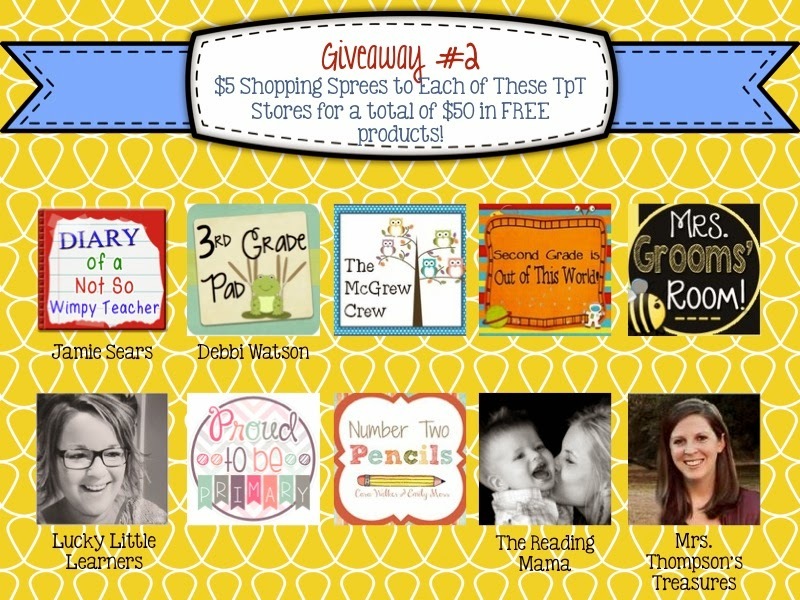 There are LOTS of classroom teachers and homeschool moms selling at TpT. 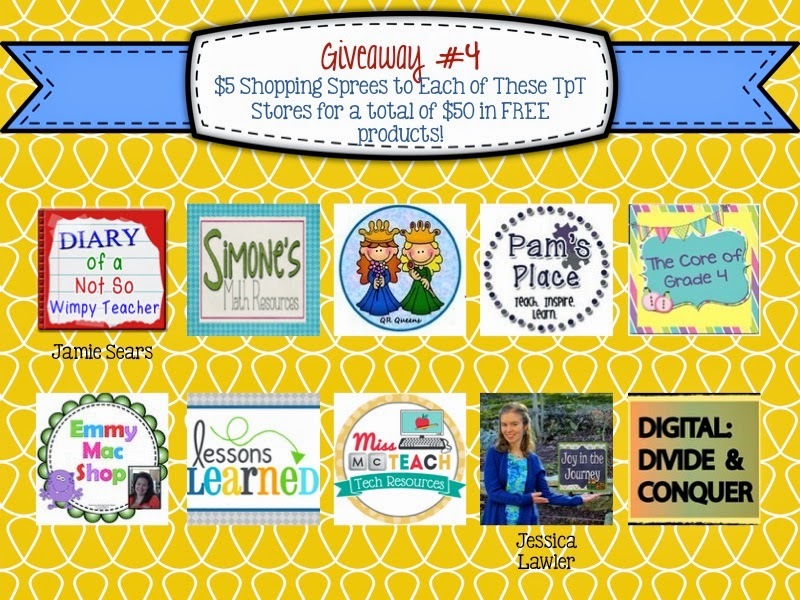 This GIVEAWAY starts on Monday July 21! 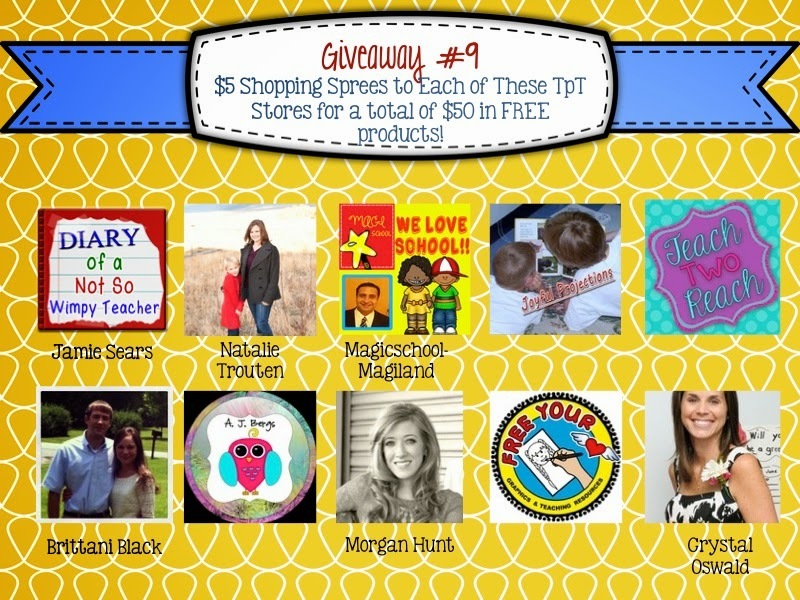 How would you like to win one of TEN different $50 TpT SHOPPING SPREES?! 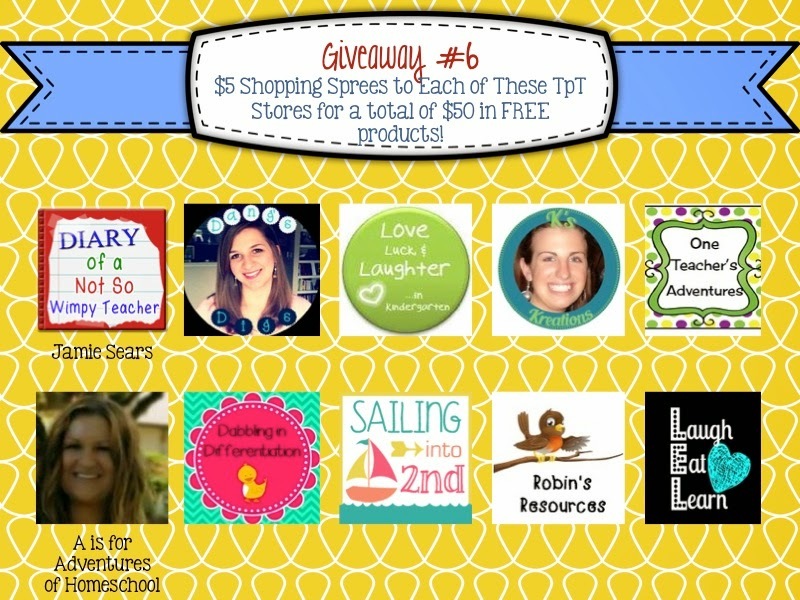 All you have to do is enter using the rafflecopter below. 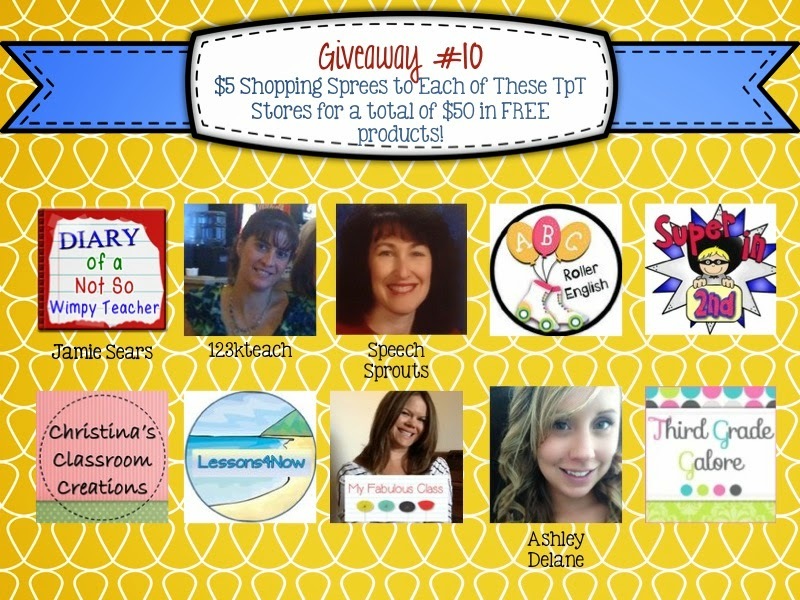 Next week, ten winners (one for each giveaway) will be chosen. 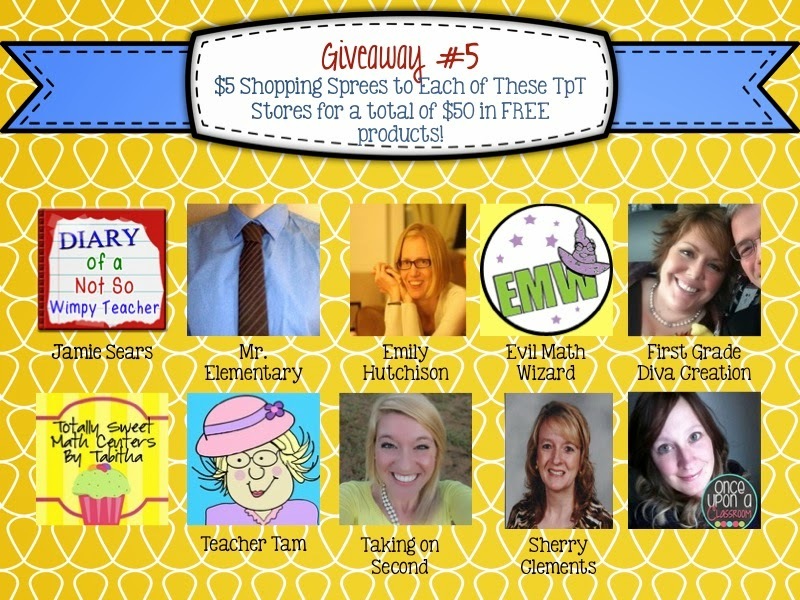 If you win- you will get to spend $5 in each of the stores listed on your giveaway. 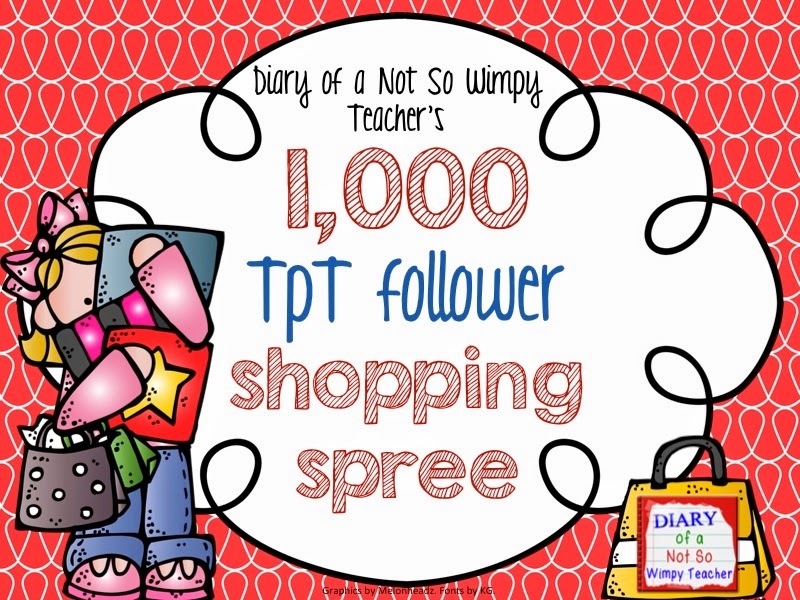 That is a total of 450 in TpT products of your choice! HAVE a WONDERFUL WEEKEND and don't forget to come back here MONDAY (July 21) or go directly to Jamie's blog to sign up!!!!! Here's a little word search the kids can use about insects. They can find the names for those little 6 legged creatures that are all around in the summer. Here's a previous post on how the kids can learn to draw insects---- another fun summer activity!